Puerto Rico’s “paradores,” or small inns, were between 90 percent and 100 percent full over the Memorial Day weekend, members of the Small Inn Owners Association said Monday. “We certainly did not expect such a high occupancy during this long weekend. The pace of reservations during the month of May had behaved slower than in previous years, given the economic uncertainty in our island, and given that Memorial Day was so close to graduations,” said Tomás Ramírez, Association president and co-owner of Parador Combate Beach Resort in Cabo Rojo. He added that the small inns developed several “value-added” campaigns to draw in guests, and the “pace of reservations continued to accelerate to an average of about 90 percent in occupancy during this long weekend,” added Ramírez. During the months of December 2016 to May 2017, the island has seen an influx of North American, European, and Puerto Rican families residing in the U.S. mainland. 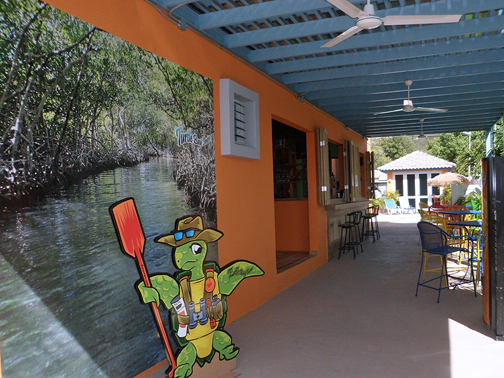 At present, more than 28 percent of small in guests are non-residents, Ramírez added. Ramírez said a higher number of calls for this long weekend were received between last Wednesday and Friday, as well as from June to August. “We received many calls from people looking to celebrate their graduating student as well as Father’s Day weekend at our ‘paradores’,” said Ramírez. “The ‘paradores’ are ready and are the best alternative for the summer season, and we invite you to call us and book as soon as possible,” said Xavier A. Ramírez, general manager of Parador Combate Beach Resort. The Small Inn Owners Association comprises the: Boquemar in Boqueron, El Buen Café in Hatillo, Combate Beach Resort in Playa El Combate, El Faro in Aguadilla, Turtle Bay Inn in La Parguera, Villa Antonio in Rincón, and Villas Sotomayor in Adjuntas. “The ‘paradores’ in the Association feel optimistic about this summer season. We continue to develop new techniques to reach other markets, and creating value-added offerings to attract local and foreign tourists to our areas. Many tourists choose to stay during the week, when rates are cheaper,” Ramírez said. Hey Buddy!, I found this information for you: "PR small inns full during Memorial Day weekend". Here is the website link: https://newsismybusiness.com/during-memorial-weekend/. Thank you.